Step Changers | Social Good, Made Easy. 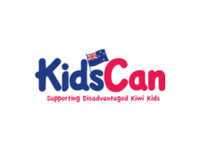 Step Changers is a movement to make great corporate social responsibility (CSR) normal in New Zealand. We represent the ideas of change-making individuals and businesses from across New Zealand interested in making great CSR normal in their workplace. What does great social responsibility mean to you? Is it recycling at work? Supporting a partnership with an NGO overseas? 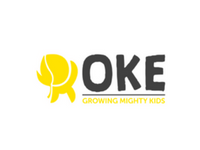 Helping local kids get the resources they need to be healthy and engaged at school? Offsetting your organisation’s carbon footprint? Is it about diversity and inclusion, accessibility and cultural engagement? We believe great things can happen for communities everywhere when businesses are an active part of the solution - and we also believe that true change is driven from within. For so many of us, corporate social responsibility is really important. It changes where we work, what we buy, how we perceive our favourite childhood brands. But many of us are stuck working in organisations that don’t get it yet, and they’re not getting our best. There’s still too many companies producing plastic plants, ignoring their diversity statistics, and exploiting the natural resources and workers of foreign countries, all to spin a profit. But it’s not sustainable to exploit. And that’s where Step Changers comes in. We’re building a community for employees who want to bring positive change to their workplace, but aren’t sure how yet. Our conversations, database of 30,000 community projects, research, and events are designed to support people in organisations around New Zealand interested in improving their own team’s CSR plans. This work doesn’t just feel good - it’s also good for business. Staff feel better, the community is better off, and brand relationships are strengthened. There's economic evidence that Corporate Social Responsibility (CSR) programmes boost productivity within a company, attract better talent, and help generate better returns. It’s scary to be the one who speaks out against the status quo, but when values guide us, it usually becomes obvious that something needs to be said. To do this at work can be even harder, especially if you’re battling internal politics, communication hierarchies, bureaucracy, or management (or you’re new to the team). The term step change recognises that it’s hard to change everything and fight an uphill battle, but change is made easier if we all just take one step forward each. To create real change, all of us as consumers, businesses, and governments have to be brave in taking that step, whatever it might look like in our workplaces. Get in touch with our team to find out more about how we’re lifting the standards for great corporate social responsibility.